The Scots stepped boldly forward on the battlefront knowing who they were – Sons of Scotland; what they were – Free men; who the enemy was – Tyranny, a counterfeit freedom under English rule. Today it is critical for dads to raise up a generation that knows who they are, what they are and who the enemy is. “The Spirit you received does not make you slaves, so that you live in fear again; rather, the Spirit you received brought about your adoption to sonship. … The Spirit Himself testifies with our spirit that we are God’s children. Now if we are children, then we are heirs – heirs of God and co-heirs with Christ,” – Romans 8:15-17. And Jesus identified the enemy in talking with the Pharisees – “You belong to your father, the devil … He was a murderer from the beginning, not holding to the truth, for there is no truth in him. When he lies, he speaks his native language, for he is a liar and the father of lies.” – John 8:44. Paul reminds all that we are not slaves to fear but free men because we are “heirs of God and co-heirs with Christ.” We know who we are - sons of the Most High God! And we know what we are – Truly free in Jesus the Christ. Today, the enemy has woven himself into our culture – his counterfeit freedom encourages men to be their own god; to chase after selfish desires; to pervert sexuality and the marriage relationship. The call is to step boldly forward on the battlefront to rebuke the devil’s schemes. Charles Stanley has said, “We are all in a battle whether we want to be or not – the battle is between good and evil, and you are the prize.” If this generation is the prize, the next generation will be collateral damage or Kingdom victors depending on whether or not this generation steps forward in battle today. Calling all dads - Step boldly forward in the battle to claim freedom in Jesus the Christ. Prayer guide: Thank You Lord for the freedom offered through Your life, death, resurrection, the Holy Spirit, Your ascension and the promise to come again. I confess I have allowed myself to be lured into the counterfeit freedom – my dreams, my goals, my agenda, my perspective of sexuality and healthy relationships. Forgive me for letting my eyes drift from You to me and this world. Grant me strength to rebuke the schemes that work to distract and the boldness to step forward on the battlefront to claim freedom in You for the sake of this generation and the next. Thank You Jesus. Amen. 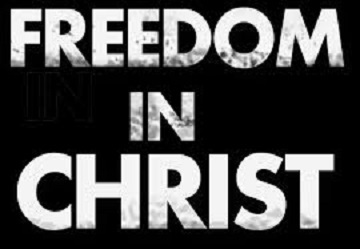 A faithful father steps boldly forward in battle for freedom in Jesus the Christ. So many great scenes in that movie!! Thanks for the challenge and encouragement this morning!